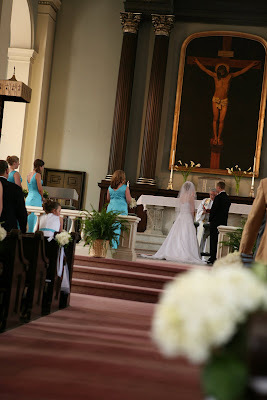 This was a very romantic wedding this past June at the Old Cathedral. 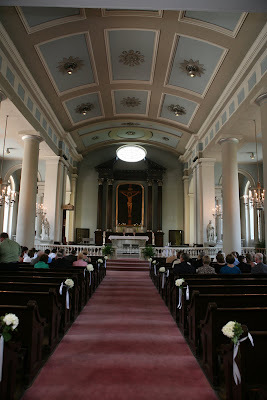 These great photos (by naturalaspects.com) show the inside of the church decorated with white hydrangea and callas. Here are single stems of hydrangea tied onto the pews with satin ribbon. 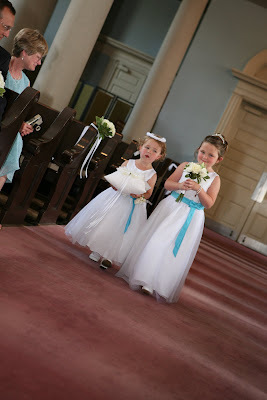 What could be cuter than little girls as both flower girl AND ring bearer!!?? At the back of the altar, two vases of large white calla lilies make a statement. 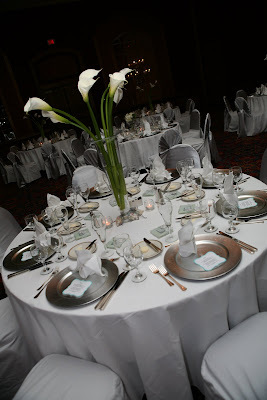 The same type of arrangements used at the church altar were used on the tables at the reception. 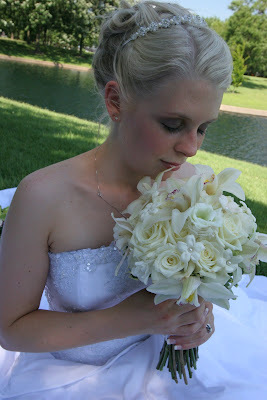 Last, and probably best of all, is Carrie with her romantic all white bouquet of roses, pearled stephanotis, cymbidium orchids, and lisianthus. Thanks to the bride and her family for letting us be a part of their special day! !